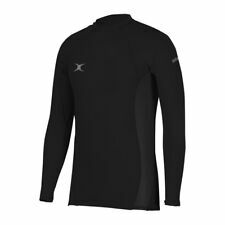 Mens Gilbert Protective Rugby Top Size Medium. Condition is Used.comes from a smoke pet free home Dispatched with Royal Mail 2nd Class. Gilbert Mens Sports Polo Shirt - Size XLarge - Hockey Rugby Football. originally Dulwivh and Tulse Hill Hockey. Home and Away available. See other listing. Condition is Used. Dispatched 2nd Class.